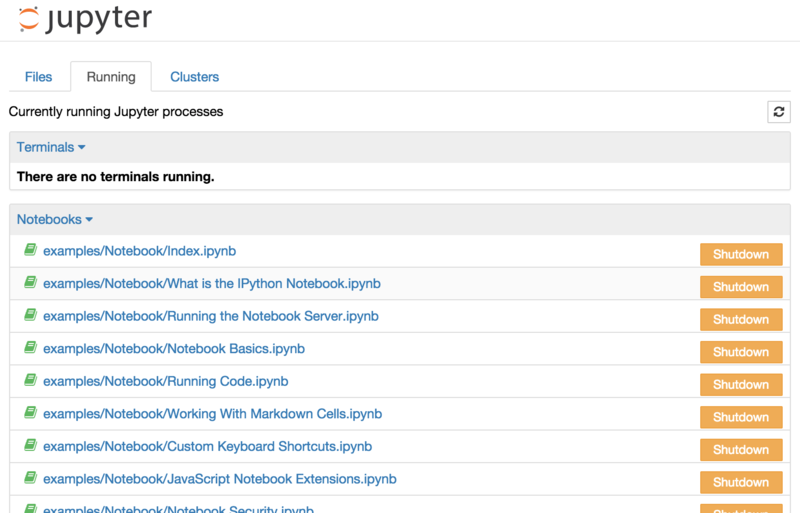 The IPython notebook server is a custom web server that runs the notebook web application. 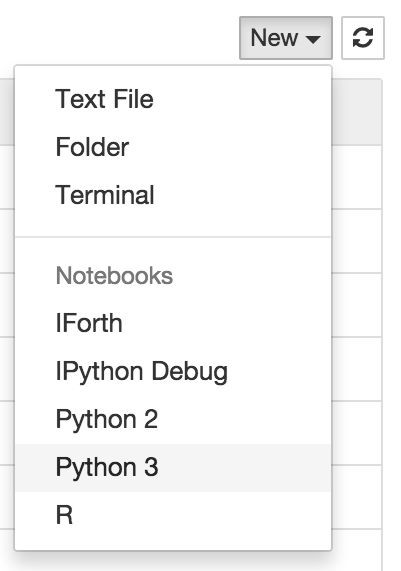 Most of the time, users run the notebook server on their local computer using IPython's command line interface. This will print some information about the notebook server in your terminal, including the URL of the web application (by default, http://127.0.0.1:8888). It will then open your default web browser to this URL. 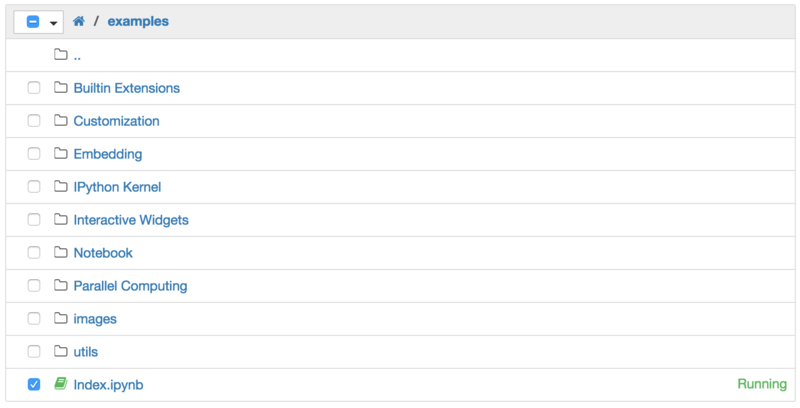 When the notebook opens, you will see the notebook dashboard, which will show a list of the notebooks, files, and subdirectories in the directory where the notebook server was started (as seen in the next section, below). Most of the time, you will want to start a notebook server in the highest directory in your filesystem where notebooks can be found. Often this will be your home directory. By default, the notebook server starts on port 8888. If port 8888 is unavailable, the notebook server searchs the next available port. Or start notebook server without opening a web browser. To create a new notebook, click on the "New" button at the top of the list and select a kernel from the dropdown (as seen below). 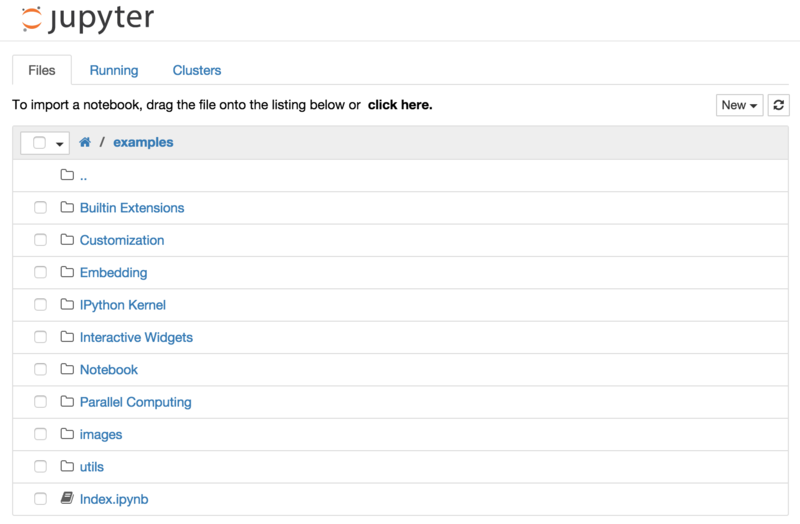 Which kernels are listed depend on what's installed on the server. Some of the kernels in the screenshot below may not exist as an option to you. Notebooks and files can be uploaded to the current directory by dragging a notebook file onto the notebook list or by the "click here" text above the list. The notebook list shows green "Running" text and a green notebook icon next to running notebooks (as seen below). Notebooks remain running until you explicitly shut them down; closing the notebook's page is not sufficient. The notebook has an interactive tour of these elements that can be started in the "Help:User Interface Tour" menu item. button in the toolbar or the "Edit:Copy" menu item. With this simple pattern, you should be able to do most everything you need with the mouse. button in the toolbar or the "Cell:Run" menu item. To unrender the selected cell, double click on the cell. In edit mode, most of the keyboard is dedicated to typing into the cell's editor. Thus, in edit mode there are relatively few shortcuts. In command mode, the entire keyboard is available for shortcuts, so there are many more. The Help->Keyboard Shortcuts dialog lists the available shortcuts.